Dr. Kwabena Duffuor was the Finance Minister of Ghana. He has also served as the Governor of the Bank of Ghana. He was named as one of the four best Central Bank Governors in the World at an IMF/World Bank meeting in 1999. He is a Fellow of the Akuafo Hall, University of Ghana, and a Fellow of the Chartered Institute of Bankers. Dr. Duffuor is the Founder and Chairman of HODA Holdings, a business entity comprising Insurance, Banking, Real Estates, Farming, Mining and Media. He is also the Founder and President of the Institute for Fiscal Studies in Ghana, a non-profit think-tank providing economic advocacy and training which he established in March, 2013. Dr. Duffuor had his secondary education at the Prempeh College at Kumasi in the Ashanti Region of Ghana. He proceeded to the University of Ghana where he graduated in 1968 with a B. Sc. degree in Economics. His prostgraduate studies were at the Syracuse University in New York, United States where he obtained a Masters in Business Administration degree in Finance and Banking and Master of Arts in Economics in 1975. He was also awarded a Doctorate of Philosophy in International Finance in 1979 at the same university. Hugh is an international affairs scholar and career diplomat having served the US Department of State for thirty-two years and now academia and public affairs. 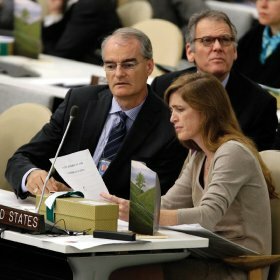 His expertise on the United Nations is supported by twenty-six years of experience as Senior Advisor to eleven US Ambassadors and as senior US delegate and negotiator at the UN. This places Hugh among the longest-serving members of the US Delegation to the UN in history. There Hugh developed broad expertise on key areas of UN activity and foreign policy challenges facing the US. His portfolio included UN management and reform, economic and social affairs, political affairs, and peacebuilding. Hugh worked with senior US Congressional figures to spearhead UN institutional and managerial modernization, which resulted in U.S. Senators releasing a payment of $1 billion in U.S. arrears to the UN in 2000, a major portion of its budget. Hugh served as Senior Fellow on the staff of Senator Mike Enzi (R-WY), member of the Senate Foreign Relations Committee (2001-2002). Previous State Department postings were Mexico City as vice consul, Bermuda as consul and acting consul general, and Washington as advisor to the Assistant Secretary for Economic and Business Affairs. Cecilia, or “Nanay Day” to the survivors Voice of the Free (formerly Visayan Forum) cares for, is a globally celebrated social entrepreneur and human rights activist. She is renowned for her courage and relentless pursuit of a society where people are free to explore opportunities without the risk of being exploited, abused, or enslaved. A Freedom Fighter in her youth, Cecilia has dedicated her life to ending modern slavery by fighting for the Filipino people’s liberation during the regime of Ferdinand Marcos, and eventually founding Voice of the Free after her release as a political prisoner. Since that time Cecilia has worked to successfully establish global best practices in the fight against human trafficking. A former senior litigation partner with Linklaters LLP global law firm, Diana has spent the last ten years working in international development, access to justice and access to education. Diana has had a significant role in scrutinising the effectiveness of aid and development programming. She was one of the four founding Commissioners with the UK aid watchdog, the Independent Commission for Aid Impact (ICAI), the independent body which reports to Parliament. She was the Lead Commissioner on many of ICAI’s 46 reports published between 2011 and 2015. Between 2015 and 2017, she has been a Specialist Adviser to the International Development Committee in the UK Parliament which holds government to account for UK development expenditure. 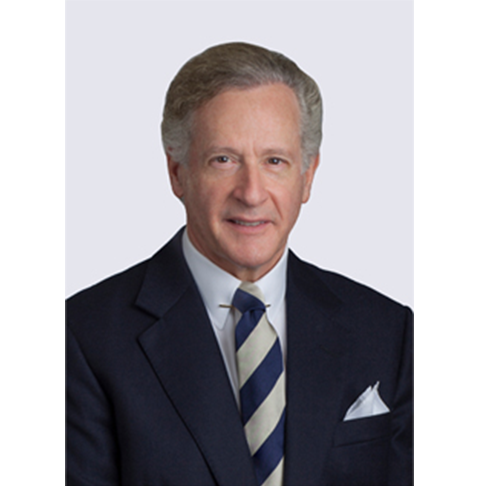 Philip J. Kessler, co-founding partner of Hoffman & Kessler LLP, is a leading trial lawyer with decades of experience in successfully handling a wide range of commercial and intellectual property disputes in the federal and state trial and appellate courts and in arbitration. Phil’s practice focuses on the prosecution and defense of claims on behalf of public and private corporations, partnerships and individuals. He has extensive experience in claims involving antitrust, audit malpractice, contracts, corporate control contests, fiduciary matters, intra-corporate and partnership disputes, securities fraud and probate and trust matters. Phil’s intellectual property experience has involved claims concerning copyright, trademark, trade secrets, unfair competition and patient infringement. Dr Mahmood is the Under Secretary-General for Partnerships at the International Federation of Red Cross and Red Crescent Societies. As well as being a medical physician, Dr. Mahmood, formerly Chief of the World Humanitarian Summit secretariat at the UN Office for the Coordination of Humanitarian Assistance, has over 15 years of experience working in disaster-affected countries.